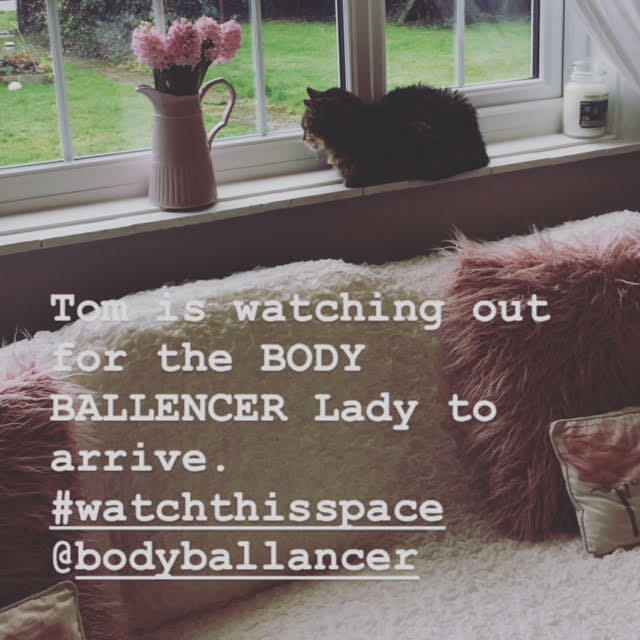 As many of you will know from seeing my antics on Instagram recently I was lucky enough to get to try out Body Ballancer. Not heard of it? not to worry neither had I. Once I did get to hear about it, my curiosity was at it's peak, yes, yes I am nosey and I do like a treatment! Naomi worked in sponsorship marketing and event management in the professional sports arena for many years. In 2008 she was diagnosed with primary lymphoedema which, whilst not a life-threatening condition, can certainly be life altering. Naomi was determined to learn as much as she could about the condition in general, and the lymphatic system in particular. Through her research, Naomi came across a Pneumatic Compression Therapy system called The Ballancer®. The Ballancer® delivers one of the safest and most effective lymphatic drainage massages available. Based on the proven medical principles of the Vodder method of manual lymphatic drainage (MLD), it is the perfect partner for health and wellness. Naomi was so impressed with the efficacy of the product that in 2011 it led to a change in career when she decided to import it into the UK which brings us here today – promoting this amazing product to the wellness, beauty and sport industries. Jules was first introduced to lymphatic drainage massage back in 2014 after she was advised to try it by a friend. In a matter of weeks she noticed a significant improvement in her body shape and tone as well as her overall state of health and decided to find out more. 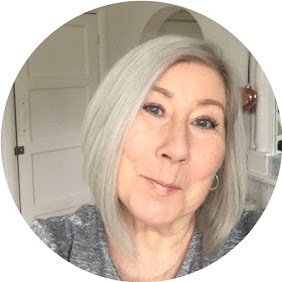 Three years later and absolutely passionate about the benefits of a healthy lymphatic system, Jules decided in March 2017 to commit to making this her full time job and – after over 30 years as a business consultant – decided to train as an (MLD) therapist. In June that year a chance encounter with a Body Ballancer® system whilst on holiday in Spain opened up a whole new world of possibilities. Once back in the UK she immediately contacted the distributor - one Naomi Northen-Ellis – and less than 6 months later, Body Ballancer Systems UK Ltd was born. This is a pretty special bit of kit I have to say, and this post could if I am not careful turn into a very long drawn out piece as the machine is not only used for aesthetics, it is also marvellous for many medical conditions. My session took place at home, although there are salons that you can visit including Urban Retreat at Harrods, I especially like the thought that you could go to the salon for any treatment and incorporate the use of Body Ballancer at the same time. So my session started with a chat about my health and any conditions I may have, the machine itself is like a giant ski suit, which you are zipped into and plugged in, really quite comfy! 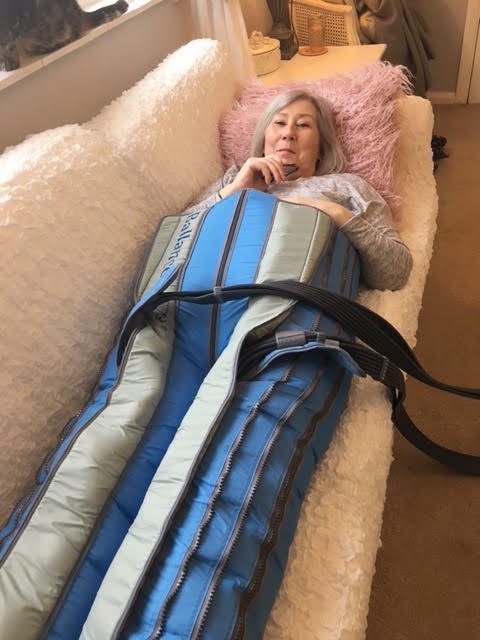 The feeling is snug and cosy, the desired programme was set for me and the machine did all the work, inside the suit the panels inflate and deflate in a variety of waves working on draining the lymphatic system therefore ridding your body of toxins, as we all know it's the toxins that cause cellulite. The process was really quite relaxing and I could imagine dropping off to sleep easily. In my head I had the thought of this as a drainage system unblocking all the gunk from my body, it increases circulation and blood flow to really get your system working at it's optimum level. Just a note about the circulation, I have really bad circulation and in fact it has left me with a permanent ugly red blotch on one foot, at the end of the session this mark had all but vanished! my legs felt lighter which was really unexpected after one session and surprisingly although I didn't think about it until the following day, I didn't have that tired leg feeling that I always get in the evenings, where you feel the need to put your feet up. At the end of the 45 minute session my body felt lighter overall, more stimulated and generally quite "well" This was all a little unexpected as I didn't imagine I would feel anything after just one session. While I do love a massage, the fact that you can pop this one on without the hassle of getting undressed and oiled for me was a bonus, it means you can grab a treatment in your lunch hour without any inconvenience. You can gym to your hearts content and still have a puffy overall look, once you have drained your system you know that you have done everything you can to give your body leaner looking definition. 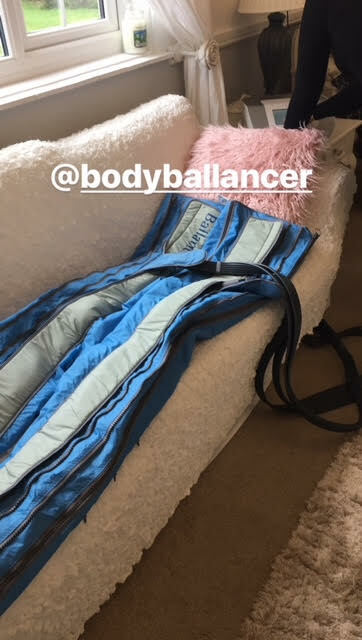 We all know that losing weight is not a guarantee to a cellulite free body, once you have the toxic build up the only way to rid the cellulite is by proper lymphatic drainage, from what I understand this can be done quite easily with a regular course using Body Ballancer over a couple of weeks. To sum up, I would most definitely be using this machine on a regular basis if there were one local to me, I do intent to have a treatment when I am in London at Urban Retreat and will combine the session with a facial where possible, you will probably spot me curled up in a corner on the floor in Harrods totally zoned out with relaxation!